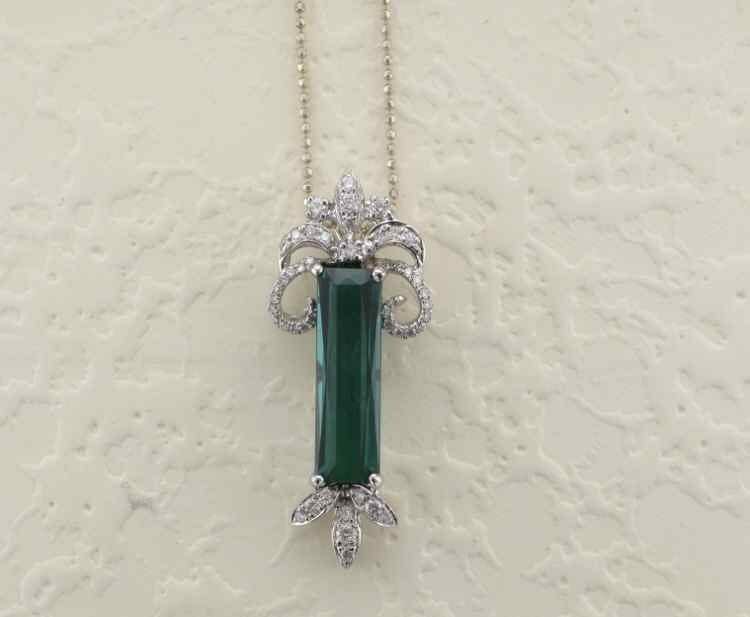 Incredibly stunning 18 karat white gold green tourmaline and diamond pendant. 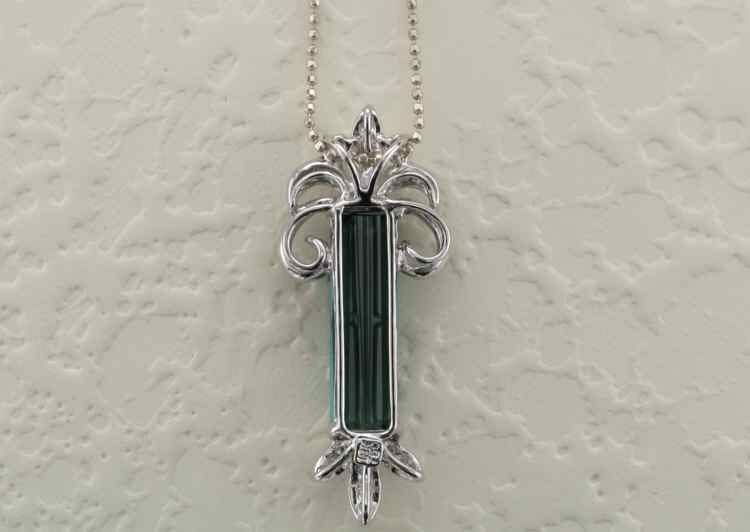 The tourmaline was hand chosen by me at the Tucson Gem and Jewelry Show and our designer "gave birth" to this stunning pendant! 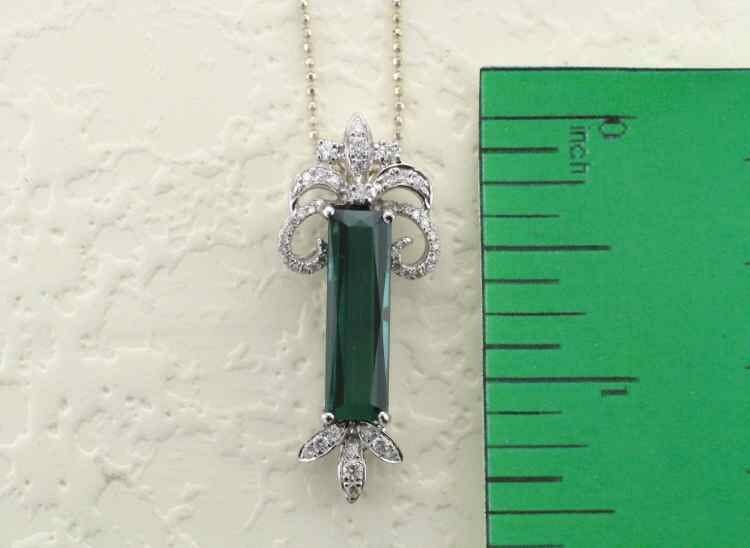 The green tourmaline, cut in a rectangle shape, is 4.98 carats and is considered to be moderate to dark blue green in hue. Accenting the tourmaline are round full cut diamonds having a combined total weight of 0.86 carats.